Highlights of the 3rd day include: Strategic debate on Diversity, discussions on ethical cross cultural reporting, a debate of Young Arab Voices representatives with president of the European Parliament Martin Schulz. How to value diversity and share universal values? was the main question of one of the strategic debates that took place on Saturday morning, marking the general line of the third day of the Forum. Father Paolo dall’Oglio, Italian Jesuit priest exiled from Syria by the Assad’s regime, reminded about the ongoing conflict in the country: “Population of Syria have been abandoned by the knowledgeable so called international community. 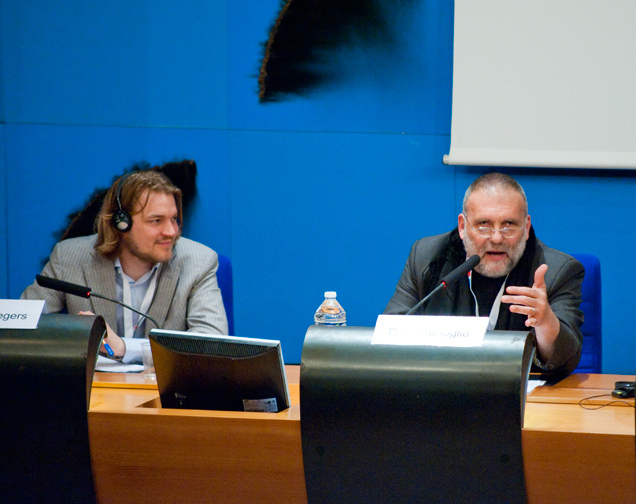 Now it is in a chance to express for the Academy.” He also underlined the necessity to show more support for Syria from civil society organisations by developing initiatives on a common ground, criticising one scale approach for different values: “Our idea or your idea for the civil society must be linked. Society is only healthy when it is like western society. We look for people who look like us. We choose our partners that look like us. I really encourage your society to be a fertile society. Destructive differences can exist not only on different shores of the Mediterranean, but also in the same religious community. Categories: In English, Publications | Tags: Aidan White, Anna Lindh Forum, Anna Lindh Foundation, Asmae Al Ghoul, Euro-Med, Martin Schulz, Mediterranean, Padre Paolo Dall'Oglio, Paul Gillespie, Syria | Permalink. Highlights of the 2nd day include: Strategic debate on Mediterranean 2020 based on findings of the Anna Lindh Foundation/Gallup Survey on Intercultural Trends, cooperation models between North and South journalists discussed in Agora workshop on media and artistic events. Categories: In English, Publications | Tags: Andrea Bohm, Anna Lindh Forum, Anna Lindh Foundation, cooperation, economics, Euro-Med, Farida Souiah, Gallup, media cooperation, perception survey, Robert Manchin, Yaraah Bar-on | Permalink. I am going to tell you my story that brought me here, because I believe that we can build a common European future just starting from a personal level. So to share Europe, first we must share our stories. Categories: Blog, In English | Tags: Belgium, Brussels, comfort zone, Egypt, European Commission, European Union, injustice, intercultural, intercultural learning, stories, taking a risk, travelling | Permalink. Visitors to the 2012 Job Day talk about their experiences of trying out interpreting in our practice booths. What are the social and health benefits of learning languages and how can speaking several languages make life more interesting? We interviewed Itesh Sachdev, professor of Language and Communication at SOAS University of London. His research focusses on the benefits of multilingualism. 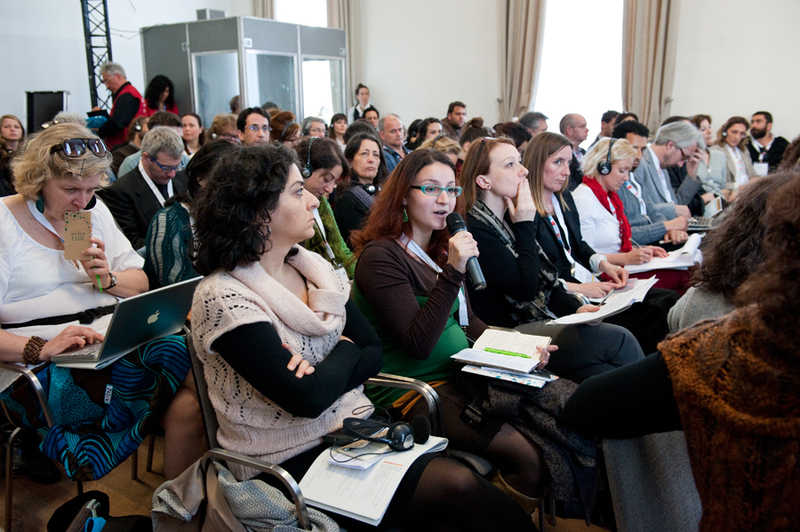 Did you know about the complexities of multilingualism in Malta? English, Maltese and even Italian are all used to communicate with other islanders. There have been significant changes in the status of the Maltese language since Malta joined the EU: “We didn’t have a culture of translation. The fact that Maltese is an official language [of the EU] has created something which actually didn’t happen before. I think it has given Maltese more status in peoples’ minds. It is no longer the language of the poor and uneducated. I think the ideal for a country like Malta, which is tiny, is that our heritage should be a heritage of bilingualism. We should be giving our children a possibility of growing up with a minimum of two languages, which for us was always a reality,” explains Dr Sandra Vella, senior lecturer at the Institute of Linguistics, University of Malta. To find out more, watch our interview with Dr Vella and Professor Ray Fabri, Chairman of the Institute of Linguistics at the University of Malta. Arabic might not be an easy language to learn, but it can lead to many opportunities in the West and the East. It is one of the official languages of the United Nations and has 295 million native speakers worldwide. In Europe there is an interest in learning more about Islamic culture and tradition; learning Arabic is an integral part of this. “Language can open paths for understanding and for dialogue between world’s civilizations” comments Dr Imran Alawiye, the author of ‘Gateway to Arabic’, a series of textbooks for teachers and students. Categories: In English, Videos | Tags: DG Interpretation, DG SCIC, European Commission, European Union, Interpreting, Language Day, learning languages, translation | Permalink. Categories: Blog, In English | Tags: art, culture, deep, inside, intercultural, meaning, semiotics, story, time | Permalink. And this time I was there. 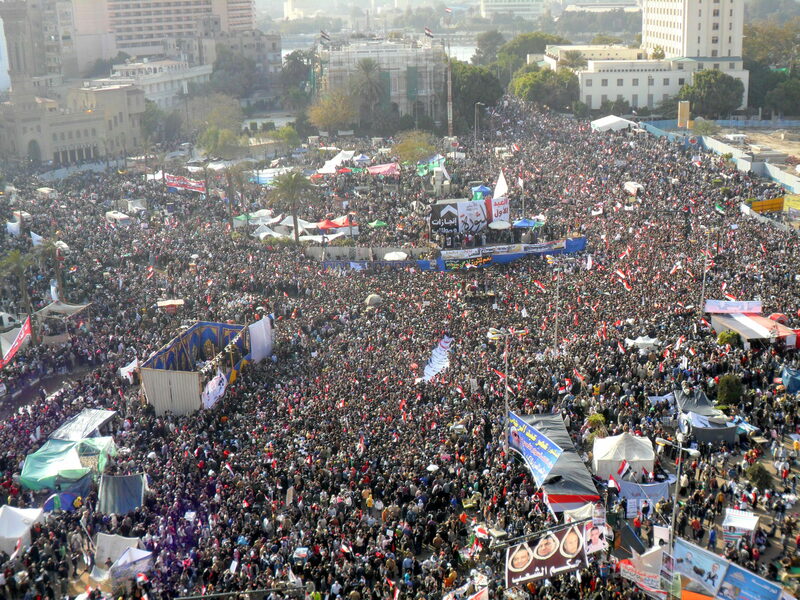 Categories: In English | Tags: 25th January, Egypt, revolution anniversary | Permalink.